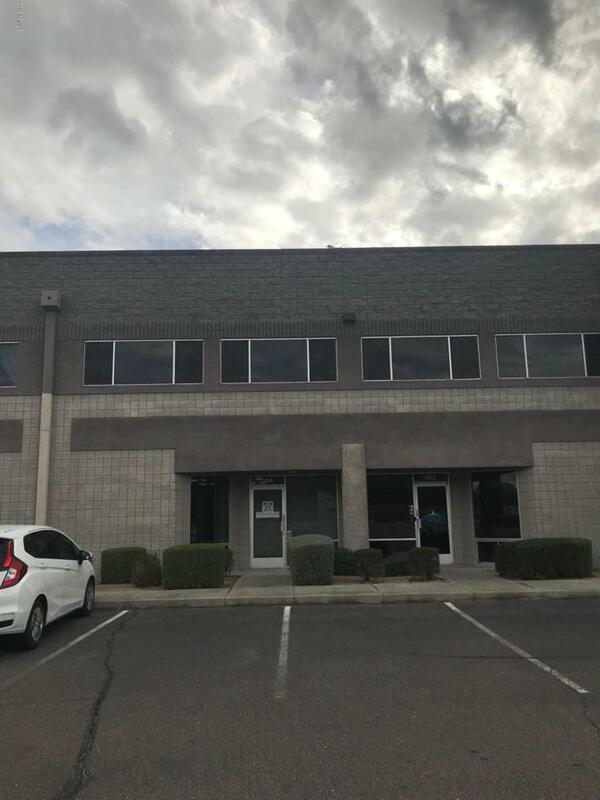 3,223/ SF Industrial flex space located in East Mesa nestled in the Gemini Business Park. Fits both office and warehouse needs. First floor includes reception and bullpen space with an individual office and computer/server room. one restroom with a shower. This warehouse is 24'6'' X 40'3'' which provides ample space for a multitude of uses. Warehouse has a 16 foot roll up door with 19 feet of total clearance and is 100% A/C COOLED! Ground floor is 2,250/SF of Office and Warehouse with a built out 973/SF mezzanine. Back lot is secured with an electric gate.